This article was contributed by Nancy Grace. Through social media, you can connect one on one with your customer, and create positive conversations around your brand. However, a lack of engagement can be one of the most frustrating aspects of social media marketing. You can find more helpful hints about how you can streamline your social media campaign for marketing. Here are 10 ways to improve audience engagement on social media. The members of your audience have numerous interests apart from your brand. By finding out what these are you can create relevant content accordingly and add value. You can use social analytics to examine the subjects your followers are discussing and gain information on their interests. You can also share posts from other credible sources to add some variety instead of only posting branded content. This will show that you’re considering the needs and interests of your audience. Starbucks, one of the most popular coffeehouse chains in the world figured out that their customers had a lot of ideas to share and came up with My Starbucks Idea. This got them a lot of exposure and media coverage for their novel approach to crowdsourcing. While you want to be accessible to your audience, this doesn’t mean that you need to be on every social media site out there. It is important not to spread your resources too thin. Instead focus solely on one or two networks and put in all your efforts towards creating engagement on these. Find out which platforms are best for your business. For instance, if yours is a B2B company, you’ll find a larger and more engaged audience on LinkedIn rather than Instagram. If you find that you’re unable to respond to customers as fast as you’d like to, it is important to get help. If you don’t have the budget to get more people on your team, try to get colleagues from other departments involved in responding to your customers. You can rope in people from sales, marketing, engineering and customer service departments. Customers post various queries on social media, and these could benefit from custom responses from people who have the expertise. 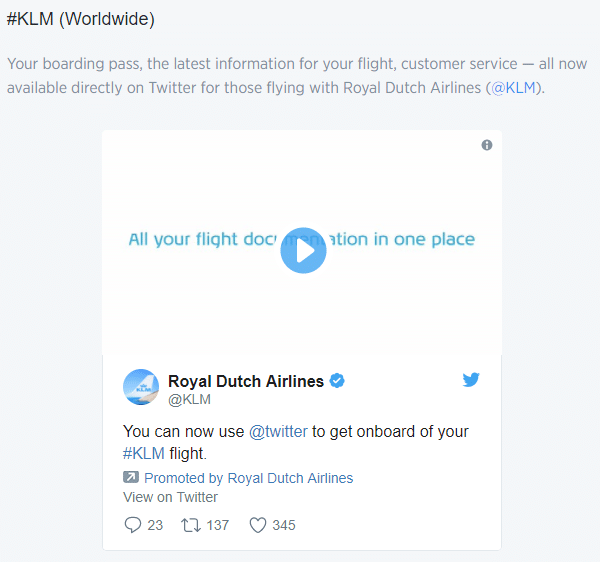 The Royal Dutch Airlines, KLM, has one of the most competent social media teams around and this has given them quite a boost in customer satisfaction ratings. Several factors determine the best times to post such as your location, the industry you function in and the habits of your audience. The platform you’re publishing on will also have a role to play. Examining your own analytics can give you an idea of when you should post. You can use dedicated social analytics tools or a tool that’s integrated with the platform such as Facebook Insights. This will provide you with accurate, tailored data that will tell you when to post. 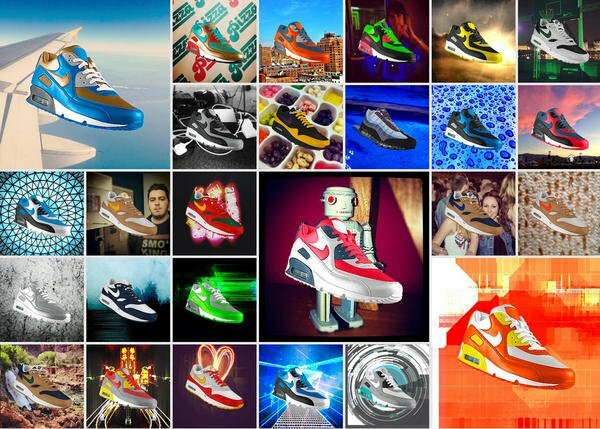 Nike ran a hugely successful campaign called PHOTOiD where you could upload a picture and a pair of shoes from their repository would be colored to match the picture. These would be delivered to the customer in about a month. A lot of marketers are discovering the real value of creating video content to drive conversions. Videos can go viral on social media and get tons of engagement in terms of likes and views. There is an 80 percent improvement in conversion rates when you add videos to your landing pages. With the rising popularity of YouTube, marketing professionals can no longer afford to exclude relevant, high-quality videos. Coke scored big with their customer base when they posted their “Ice Cube Ski Jump Challenge” video on their Insta-feed. It went instantly viral and a lot of people posting videos trying to beat the distance. 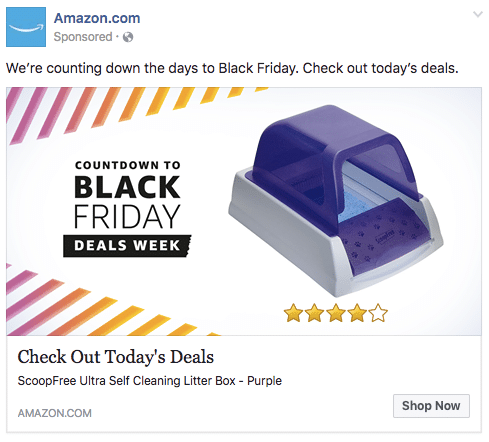 This is a Facebook ad from the online superstore, Amazon. It looks clean, clutter-free and effective. Do some research and find communities that fit your company’s industry. You can then create, join, moderate and participate in these forums. You can also use Google+ Hangouts to start live video chats with up to nine people. This offers another excellent opportunity to connect with your potential customers. 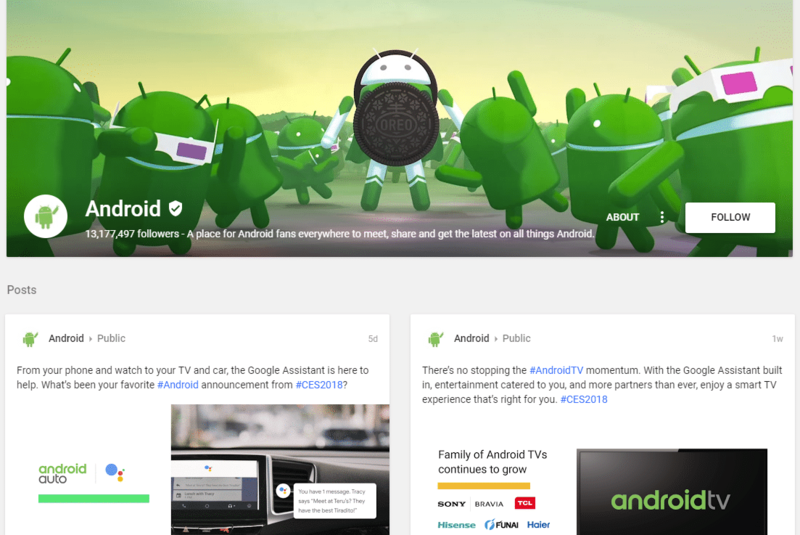 An example of a Google+ page done right, the Android G+ page is well designed and has about 13 million followers and counting. The community is also very interactive and there is constant banter on several topics at a given time. When people contact brands on social media platforms, they do so expecting a quick reply. When you provide good customer service, it can be an influential marketing tactic. Customers who receive prompt responses are more eager to recommend the company and are a more satisfied with their experience. So, respond promptly when existing or potential customers interact with your brand, and you’ll soon reap the rewards. Nordstrom has been making waves with their exemplary customer service through social media. They actually took responsibility for a customer’s shoes being ruined and the salesperson personally delivered a new pair within 45 minutes of receiving the complaint. 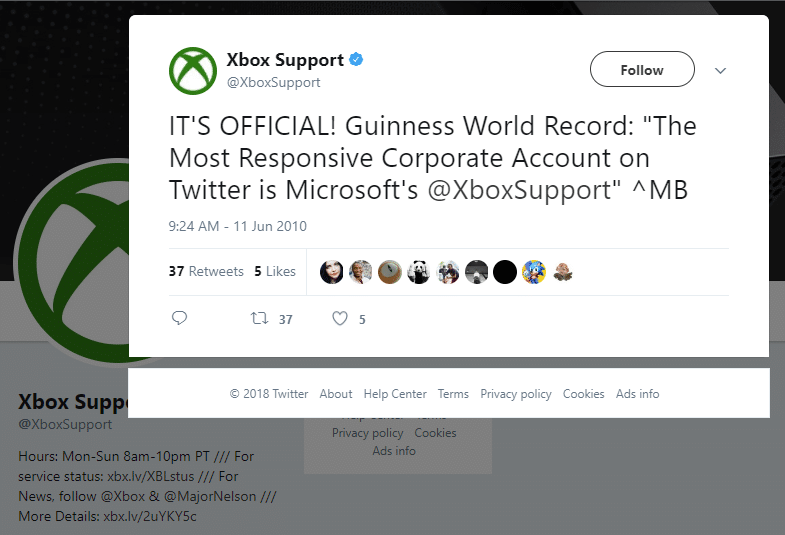 Here is another even quicker response – they replied to a generic customer query within 20 minutes on their Facebook page! You can position your brand as a resource by curating content. This involves gathering, collecting and sharing high-quality material that is relevant to your audience. This is an ideal way to fill any gaps in your content strategy especially if you’re short on ideas for fresh content. It can lead to other opportunities such as recognition from influencers, more brand awareness and an increase in new followers. You’ll also be considered a go-to resource for the latest news in the industry. 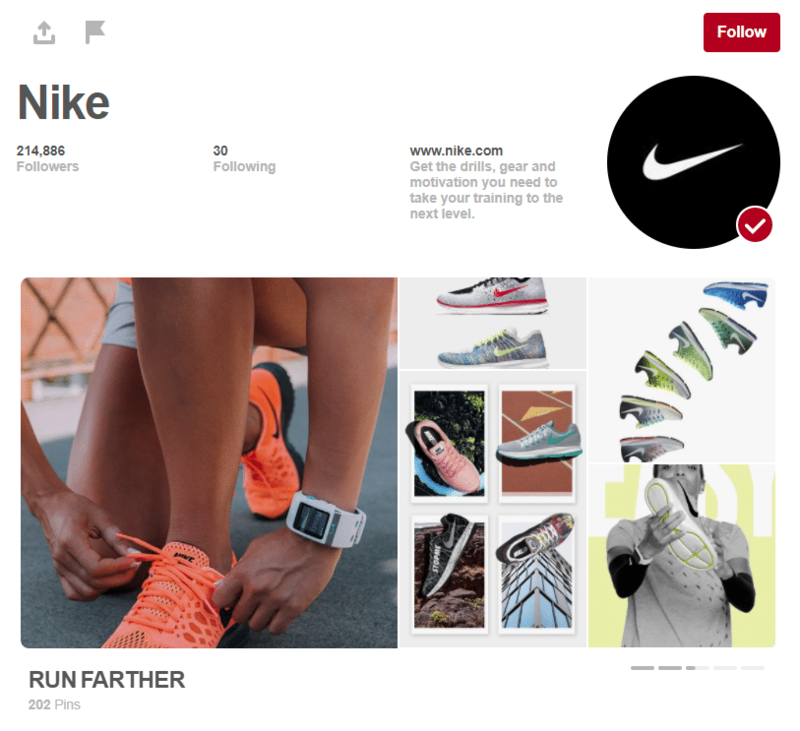 We get back to Nike for this one – they have a huge presence on Pinterest which has handpicked and curated content that can help motivate people. In order to develop an effective social media marketing strategy, you first need to have a real understanding of your audience. This will ensure that all your posts resonate with them and they stay interested in the content you’re creating. You will also need to pay attention to your analytics to prove the ROI of your efforts. Understand what is working and what is not to ensure that your social strategy remains effective and produces results. Hi! I’ve been reading your web site for some time now and finally got the bravery to go ahead and give you a shout out from New Caney Texas! Just wanted to tell you keep up the great job! What’s Taking place i’m new to this, I stumbled upon this I have found It positively useful and it has aided me out loads. I’m hoping to contribute & aid different customers like its aided me. Great job.